Mondays -- how to deal with Mondays is an age-old problem. I expect that even our cave-dwelling ancestors dreaded the beginning of the work week ("No, woman! Grul is too hungover to hunt wholly mammoth, me must sleep longer." [Citation omitted]). However, in our struggle to survive, and serve our higher calling, we venture into the week nonetheless. The secret to such heroic perseverance is external stimulants. In our case, this Monday morning is brought to you by Baker Island. The Newcastle upon Tyne noise pop band has gifted us with Always, 1995, a forward pushing blast of well crafted tunes to jump-start the week. Consisting of the closing song from their most recent LP, Restless Legs, and three new worthies, it is just what our office psychiatrist recommends for beginning the day. 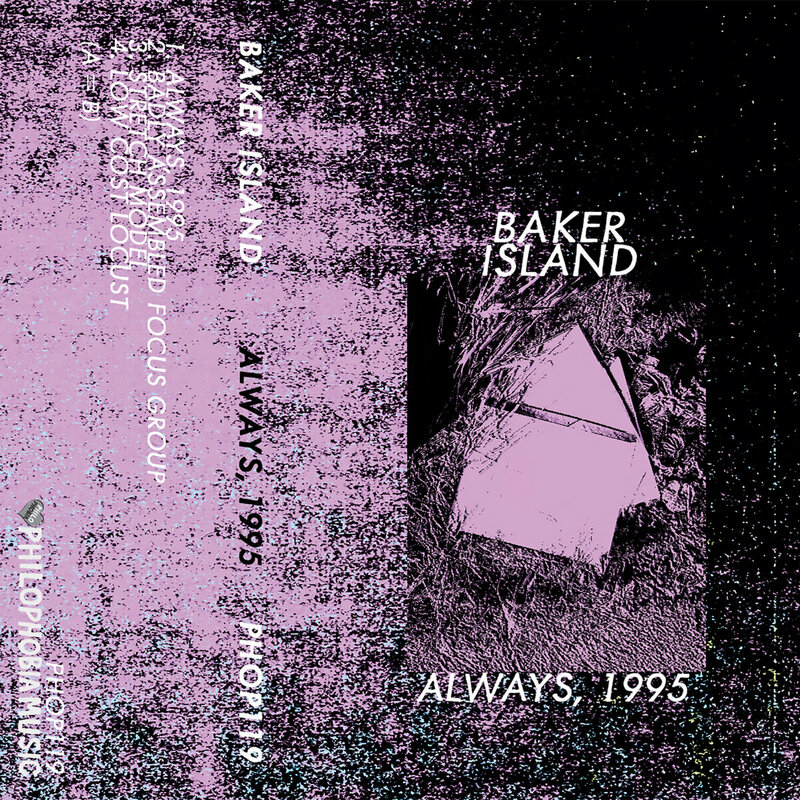 Always, 1995 is out now in cassette and digital formats via Philophobia Music.